WASHINGTON — President Donald Trump’s slow response to the deadly white-nationalist attack in Charlottesville, Virginia, was shocking to many politicians, experts on extremism and even members of his own party, but nobody could call it surprising. Groups and researchers that track hate had sounded the alarm throughout Trump’s campaign and presidency, warning that his rhetoric and actions were empowering the racist fringe. They’re now demanding Trump finally confront a growing threat from hate groups who they say have been energized by his political rise. "I believe we’re at a pivotal movement here, one where the forces of hatred in this country are feeling unfettered to act and emboldened to move out of the shadows," Jonathan Greenblatt, CEO of the Anti-Defamation League, told reporters in a conference call. He called Trump's failure to adequately confront those forces a "serial issue" as a candidate and as president. While Greenblatt said Trump’s remarks condemning racism on Monday were positive, he added that Trump should have to “step above the lowest possible bar” and pair his words with action. Suggestions included producing a plan to investigate extremists and educate the public about the ongoing threat. The list of Trump’s prior run-ins with the far-right fringe is long and varied. He tweeted fake crime statistics spread by racists to paint black Americans as violent, then defended them as credible. He sparked a firestorm last year when he declined to renounce support from David Duke, who participated in the Charlottesville white-nationalist rally, before later disavowing him. His campaign tweeted an image of Hillary Clinton with a Jewish star that was traced to an extremist user, then claimed it was a sheriff’s badge. Researchers who study extremist groups view the Charlottesville rally, the largest of its kind in recent years, as part of a broader move by white supremacists to play a more aggressive role in politics. This newfound confidence, they say, is inseparable from Trump’s attacks on Muslims and immigrants and his references to a conspiracy of global elites that the ADL has complained echo anti-Semitic tropes. “President Trump’s candidacy had so many different themes that were consistent with their views that he really did excite them in a way you haven’t seen with other mainstream political figures,” said Peter Simi, a professor of sociology at Chapman University who researches extremism. Greenblatt described Trump's campaign rhetoric as a "bullhorn" to the far right. Greenblatt and Simi both said Trump should consider removing figures like White House adviser and former Breitbart executive chairman Steve Bannon, who once described his news site as “the platform for the alt right” and has repeatedly cited an anti-immigrant novel, "The Camp Of The Saints," that’s a touchstone in far right circles. Bannon has denied any ties to white nationalism. Trump initially condemned violence "on many sides" in Charlottesville, drawing opprobrium across the political spectrum for comparing scuffles between anti-racist protestors and white supremacists to a deadly car attack that killed Heather Heyer, 32, and injured 19 others. While Simi said "false equivalence" was a mistake that fed into white supremacist efforts to portray themselves as victims, he warned there was a real danger that far-right, anti-fascist and anarchist groups will adopt more violent tactics in their confrontations if left unchecked. "I don't have very optimistic views on the next few years," Simi said. "I think the cycle of radicalization is quickly gaining momentum." 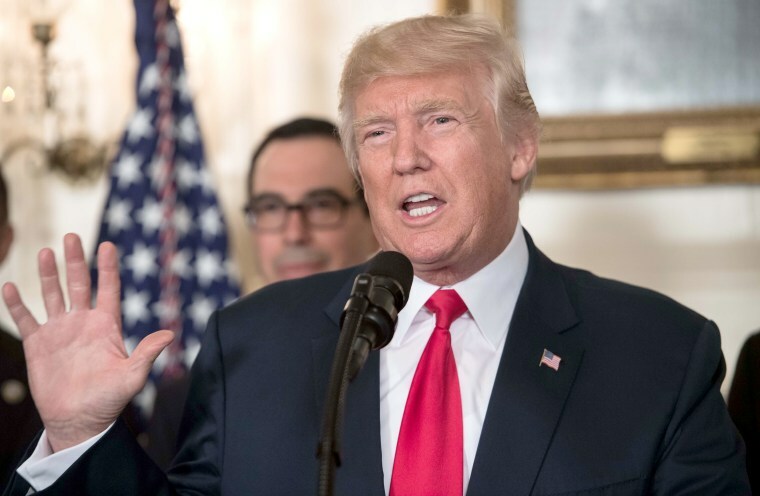 Brian Levin, Director of the Center for the Study of Hate and Extremism at California State University, San Bernardino, said the president’s response was important because there are signs they can play a role in preventing racist violence. Levin’s research found a significant uptick in reported hate crimes against Muslims immediately after Trump announced his plans for a Muslim ban, for example. By contrast, President Bush’s speech on tolerance at a mosque shortly after 9/11 coincided with a drop-off in hate crimes, which spiked after the attack. "This is an extraordinarily strong indication that words matter," Levin said. He added that his research has found an uptick of hate crimes in major cities since the election, lending more urgency to the issue. Trump, who has made it a point of pride to condemn Islamic terrorism abroad even before the attackers are named (and sometimes inaccurately), has been notably slower to highlight violence targeting ethnic and religious minorities at home. A newspaper in Kansas criticized Trump in February for not responding quickly enough after a man was charged with fatally shooting an Indian man and wounding two others while telling them "get out of my country." After police charged a man in Portland with fatally stabbing two good Samaritans who defended a Muslim teen he harassed, Trump waited days to praise the victims on Twitter for "standing up to hate and intolerance." More recently, the White House stayed silent after an explosive device set by unknown perpetrators went off at a mosque in Minnesota last week. Days before the Charlottesville attack, Trump’s deputy assistant Sebastian Gorka mocked concerns over far-right violence in an interview with Breitbart as an effort to distract from Islamic terrorism.